Firefighters battle the blaze on the cooking gas truck. 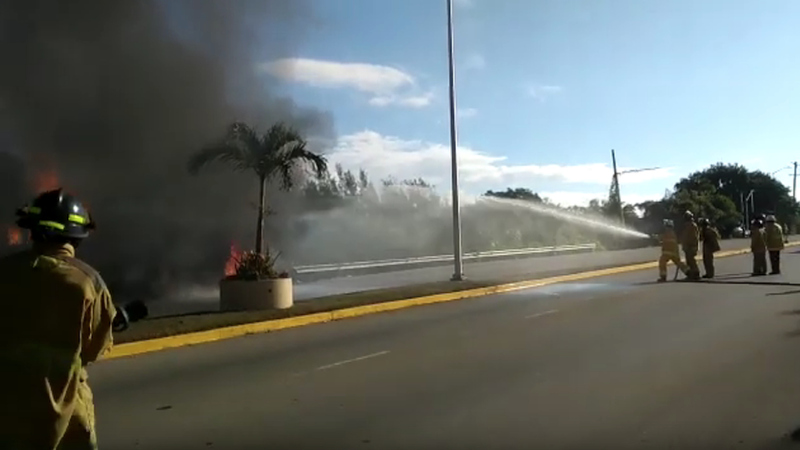 Firefighters are now conducting cooling down activities on an IGL cooking gas tanker truck which burst into flames along a section of the Barrett Town roadway in St James on Friday morning. 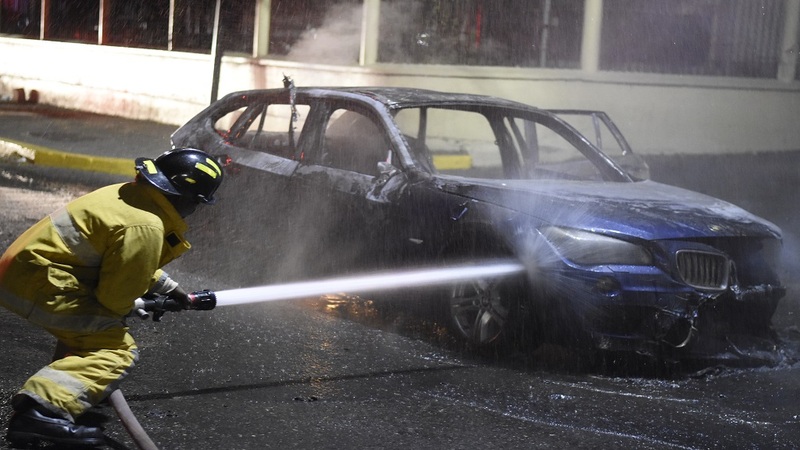 The driver of the vehicle which was transporting the cooking gas suffered serious injuries, according to the police. 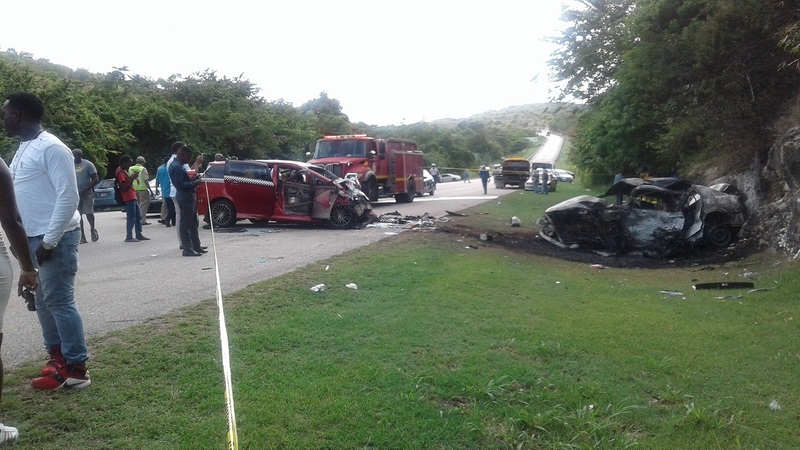 The accident has resulted in a section of the North Coast Highway along the Elegant Corridor being closed. There is currently a massive build up of traffic along the thoroughfare. Police report that the tanker caught fire about 7am while travelling along the roadway. Lawmen were reportedly quick on the scene and assisted the seriously injured driver to the hospital. 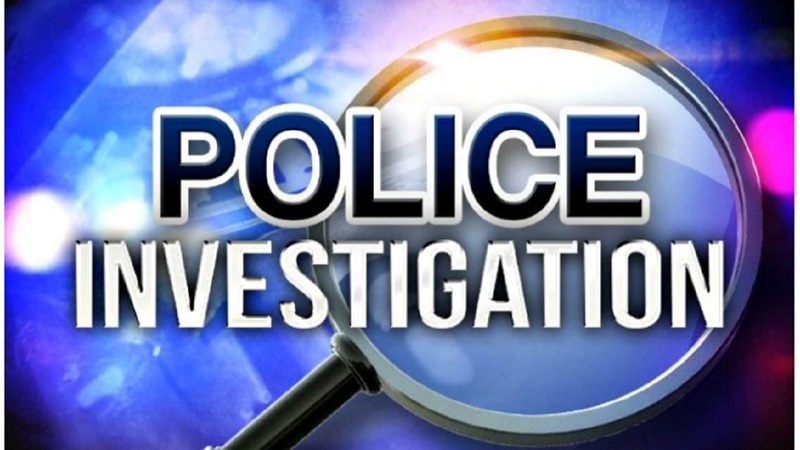 The law enforcement officials, who are out in full force directing traffic, have cordoned off the area in consideration of possible public safety issues. Motorists heading to Montego Bay are being diverted to the Salt Marsh main road unto Adelphi and then to West Gates.